Our mission at Still Celebrating You, is to help families find healing in fun special ways to keep the spirit of a loved one who has passed on, alive. It is never easy to say goodbye to those we love so dearly, but once we surrender to the cycle of life, we begin to heal. Please use our website as a place to get ideas, to give ideas, and to purchase items that will make anyone feel connected and comforted. We are here to help you Celebrate all the Joy and Love, your Angel left in your heart. We offer customized Memorial T Shirts, Memorial Quilts, Candles, Balloons, Memorial Photo Books and Memorial Bags. Still Celebrating You offers services World Wide for people that are looking to create memorial tributes for their Angels that have passed on. Our caring service will connect you and your loved ones with quality custom services to meet your needs. 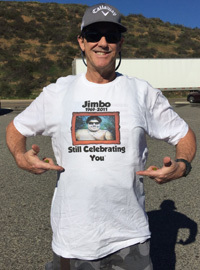 Our Tribute T Shirts are popular with small and large groups and we can put together packages to accommodate any sized group that’s interested in celebrating the life of their loved one that has passed. 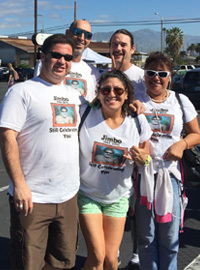 Rocking Tribute T-Shirts with Family and Friends is a Great Way to Include Your Special Angel in Fun Events.